Tampa Bay is a large natural port situated on Florida's West Coast. It features two significant cities along its shores, Tampa and Saint Petersburg. The mouth of Tampa Bay is crossed by the Sunshine Skyway Bridge. The complete municipal region surrounding Tampa, Saint Petersburg, Clearwater and several other smaller towns are collectively referred to as Tampa Bay. The Tampa Bay/St. Petersburg area made many attempts to acquire a baseball team before receiving the then called Devil Rays in the 1998 expansion. The main obstacles were city infighting and the lack of a stadium. In the hopes of attracting a Major League Baseball team, the construction on the new stadium began in Tampa/St. Petersburg area on November 22, 1986. Eventually, the stadium received a MLB franchise in 1995, when it expanded its area of influence. The new team was named the Tampa Bay Devil Rays. The stadium underwent a $70 million renovation, but the total revenues cost $115 million to complete only eight years earlier. In 1996, the stadium became known as Tropicana Field, when Tropicana bought the naming rights to the stadium. Chuck LaMar was hired as the team's first general manager in 1995. National League's Atlanta Braves, LaMar became the team's assistant general manager. The Rays played professional baseball in 1998 before a sold out crowd at Tropicana Field. Under the direction of former Florida Marlins pitching Coach Larry Rothschild, the Rays won 63 games. The team finished last in its division. Since then Tropicana Field has been the Devil Rays home ground. This baseball season is quite possibly the most anticipated season in Rays history. Tampa Bay Rays are currently (mid-2008) leading the AL East and have an explosive team. The Rays traded for Twins shining prospect Matt Garza, Astros Trever Miller, and long-time Angels closer Troy Percival. With the additions of crafty veterans Floyd and DiFelice along with youngsters who are progressing like breakout pitcher of 2007, James Shields, this team finally has a nucleus of players they can be proud of, and expect to contribute for this year and years to come. The management feels these additions along with the mix of veterans and young pitchers they have in the bullpen and rotation, that they can be competitive in these vital areas (especially the bullpen where they have struggled mightily over the years). But it wasn't like that for the first ten seasons. It, throughout their short history, have been riddled with false hype at many different points. The first game of their inaugural season was on March 31st, 1998. The game took place in front of 45,369 fans against the Detroit Tigers. Wilson Alvarez was the opening day starter. It all ended in a loss. Before the start of 1999 regular season games, the Rays drafted star player Jose Canseco. Jose Canseco hit his 400th career HR against one of his former teams the Blue Jays, and Wade Boggs marked his career's high point by becoming the first player ever to hit a Home Run for his 3,000th career base hit. However, despite of these career milestones, the Devils Rays again ended the season last place finish ... Not much would change throughout the years. Attendance plummeted downward, the veterans underperformed and many of the prospects who did perform where promptly traded away for more underperforming veterans. The one surprise was in 2004. The Devil Rays for the first time in their history finished with a 71-91 record, 3 games ahead of the Toronto Blue Jays, finishing in fourth place in the AL East. Coming into 2007, however, with a new ownership in place, the team felt as if they had a shot to contend. The Tropicana Field features one of the world's largest cable-supported domed roofs made of teflon-coated fiber glass. The stadium has 7 escalators and 23 elevators. The amenities include interactive game areas, the Pepsi/Devil Rays Fan Wall of Fame, a 3 story/365-day-a-year sports bar and retail shops are located outside the right and center field walls, a restaurant with seating for 350 people etc. The roof of the dome is lit orange after the Devil Rays win at home. The orange light stands for the ballpark's title sponsor, Tropicana Dole Beverages. The scoreboard is put up beyond the right centerfield seats. Tampa Bay Rays latest team colors are navy blue and light blue and a bright yellow colored sun-burst. The new home and away uniforms, as well as the team's new primary logo, feature "Rays" in navy-blue lettering cast with a light-blue shadow. The sunburst gleams from the letter "R." The new cap has a base color of navy blue, with white "TB" lettering cast with a light-blue shadow. The lettering was custom designed for the team, and selected for its elegant simplicity and classic look. 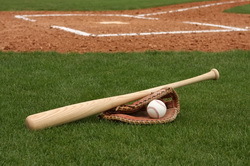 Q:Can I get tampa bay rays tickets from you at discounted rates? A:Sure, you can get your tampa bay rays Tickets from us at discounted rates. Q:Can I print out my tampa bay rays tickets from your site? A:Tampa bay rays Tickets with us can not get printed out like that.